New Year’s resolutions. A fresh start for a new year. Many employees view the New Year as a time to begin afresh with goals for well-being. Often, these goals revolve around food and improving their diet. Cleanses, detoxes, and the like are frequently talked about this time of year. While many of these types of diets have not been proven to be effective and could be harmful for some, healthy eating will still be a big focus for many over the next several months. I am always a fan of taking stock from time to time to ensure I’m filling my plate with foods that energize me. So in that vein, here are three things you can do to support healthful eating for your employees in the New Year that don’t involve strict eating plans. Remind employees of the preventive benefits they have available to them – and specifically call out their nutrition benefits where applicable. Visits with a Registered Dietitian are covered under most plans for Blue Cross and Blue Shield of North Carolina members. And when employees speak with a Registered Dietitian, they are benefiting from evidence-based nutrition education that meets their needs and lifestyle. 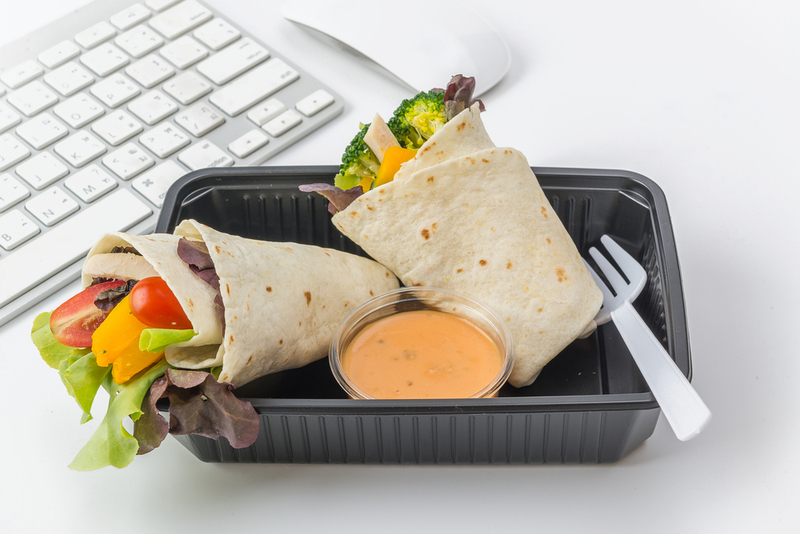 When you order catered meals for meetings or events, keep fresh, healthful foods in mind. If your company has a healthy eating policy in place, remind staff of the guidelines to make ordering easier while opting for healthier fare. Point to easy, actionable things they can do when planning meals – for example, including a vegetable or fruit side, including whole grains, and providing bottled water or flavored seltzer water. Also, consider whether you have any other healthy eating resources you can point them to – for example, a partnership with a local restaurant offering healthy options, or a nearby grocery store or lunch spot with a fantastic salad bar. Capitalizing on resources already in place will help simplify your game plan. Employees may not know these options are available, so a simple reminder can go a long way toward supporting your staff in their healthy eating journey. Revisit your vending. While healthy options may be available, if employees don’t know what they are, they may unknowingly make a less healthy choice when faced with a mid-afternoon snack attack. One way to highlight healthy options is to check with your vendor to see if they can place signs in the machines to draw attention to healthier foods. Another option is to create a list of healthier options and post this near the machines for employees to use when deciding what to buy. Many vendors are willing to stock healthier options if asked – it is worth having the conversation to know what your options are. Just as employees’ minds turn toward cleaning up their diet in the New Year, you too can make strides to show your staff that their work food environment supports their health and well-being.